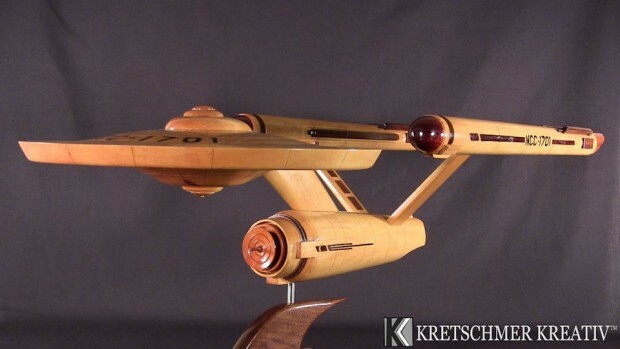 Kretschmer Kreativ built this amazing wood model of the original Starship Enterprise. It’s mission? To boldly look beautiful and classy forever. It would be right at home in Captain Picard’s ready room. 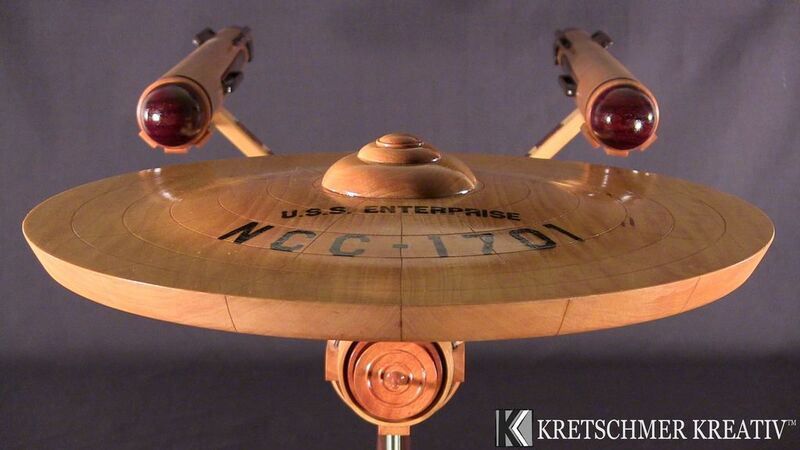 This 36 inch model based on the original Star Trek series is all natural wood grain with no paint used. He got the different colors by using different woods. The main hull is hard maple, the base and brown details are black walnut, the dish is osage orange and so on. It is so lovely. I wish I had one to display. If you want to make your own, you can check out the instructions here. 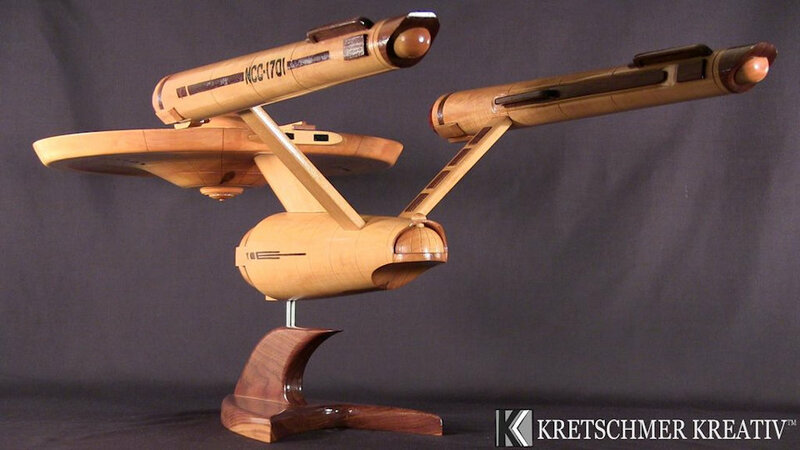 This one will cost you $3000(USD) on Etsy. Totally worth it, if you ask me.